NIKKEI 225 weekly is “HAGURO” No.5 formation; if the close after next week will be 21933.99yen over, rally will continue but now may reach the major peak. 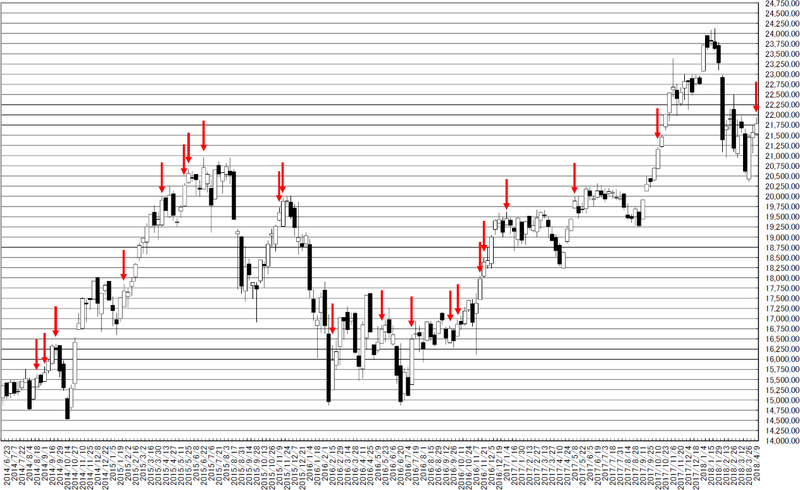 Our conclusion is the close price after next week will be 21933.99yen over, this occasion will be start of rally. But it will not be so this formation, now may be peaked out. In this week, N225 formed “HAGURO” No. 5 formation. In past 200 weeks, N225 price formed “HAGURO” No. 5 formation was 21 times. 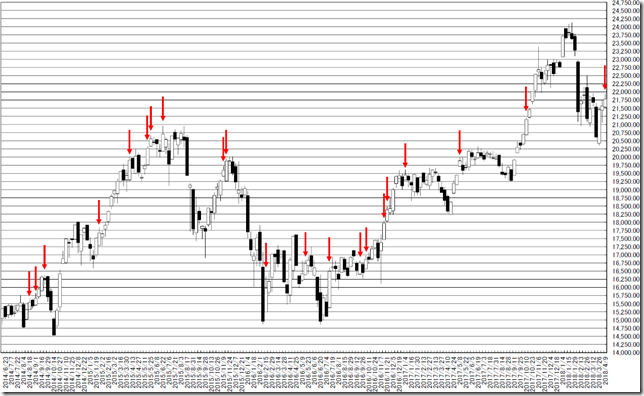 There were two patterns in past occasions; 1:“Peaked Out” or 2:”Taking new high and keeping it at close in next week”. We reported “NIKKEI 225 week; “HAGURO” No.3 formation; Now is the watershed of the major trend; in weekend close, 22500yen over will mean bullish and cutting 21000yen will mean bearish” in 3/9/2018. And great opportunity will come in buy or sell.